Celtic sea salt is one of the more flavorful options if you want a fancy sea salt from Brittany, France. Another name for it is sel gris, which means gray salt. Celtic sea salt has its gray color because of the minerals from the clay that lines Brittany’s salt pans. If you can’t find any of this salt in your local grocery store or find yourself without enough of it to complete a recipe, try one of the Celtic sea salt substitutes below. When it comes to the Breton sea salts, fleur de sel is arguably the best known. It is also the best substitute for Celtic sea salt since both are harvested from the same salt pans in Brittany. Fleur de sel is made up of the crystals that form at the surface of those salt pans. It is carefully raked off by paludiers to get a purer salt without contamination from the clay that lines the pans. Fleur de sel gives you the same crunchy texture that you would get from Celtic sea salt. 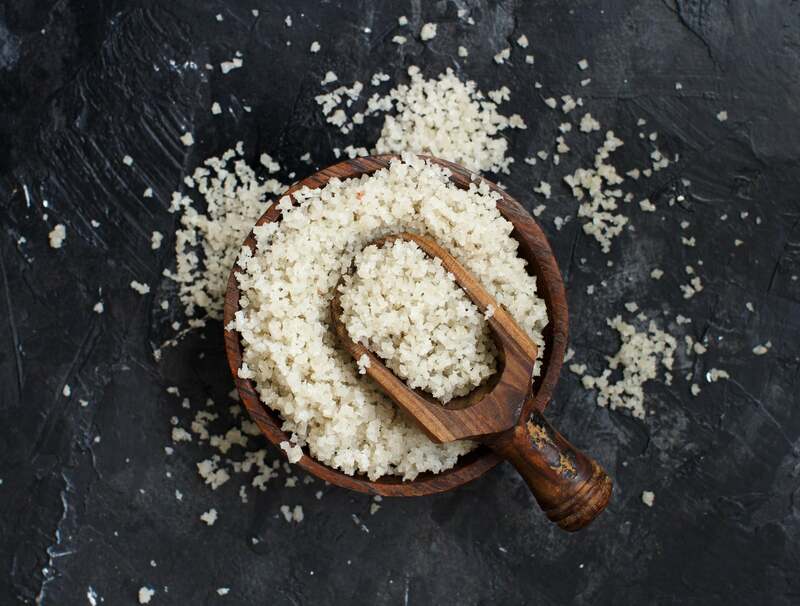 While its flavor may be somewhat less briny than that of Celtic sea salt, it will still be bright enough to enhance your dish in a similar way. Use it as a finishing salt or as a cooking salt. If you do decide to use fleur de sel as a Celtic sea salt alternative, note the significant differences in cost and availability. Fleur de sel is considerably rarer and more expensive when compared to Celtic sea salt. Only about three pounds of it are harvested for every 80 pounds of Celtic sea salt. Himalayan pink salt comes from the Khewra mines in Pakistan, far from any modern ocean. While it is not a sea salt in the sense of fleur de sel or Celtic sea salt, it is a salt that comes from an ancient sea. Minerals make up a significant portion of Himalayan pink salt and are responsible for the color and the flavor. 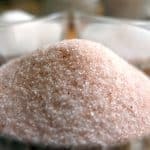 Note that the mineral content of Himalayan pink salt is less than that of Celtic sea salt; however, it is enough to make it a good Celtic sea salt substitute. 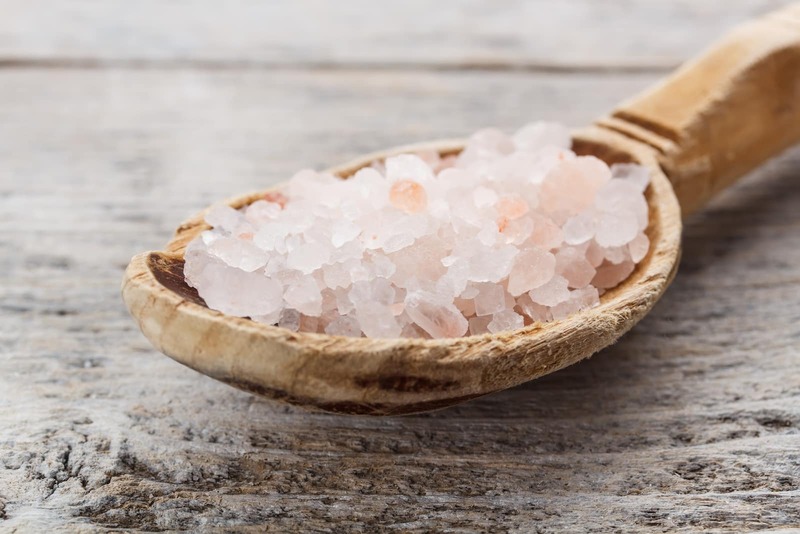 Himalayan sea salt is a dry salt, which means that if you grind it finely it will draw liquid from your food the way that table salt would. Use larger grains to lengthen the time it takes to dissolve. 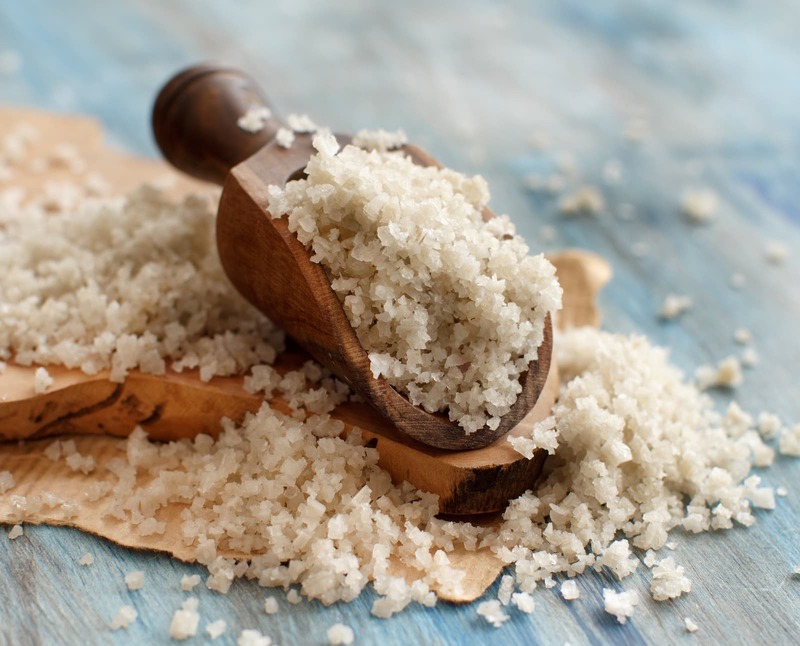 The source of Maldon sea salt is Essex in England rather than France but aside from that difference, it offers much of what you get from Celtic sea salt. Its large crystals deliver a similar briny flavor. While it is drawn from coastal saltwater just like Celtic sea salt, the process of harvesting it is much different. The water is boiled in tanks over several hours. The salt crystals are left behind after all the water has evaporated. Maldon is a dry salt unlike Celtic sea salt; however, you can use it in all of the applications that require Celtic sea salt. Among the qualities that it will bring to a dish is its intense crunch. Because the flakes are dry, they may draw moisture from foods faster than Celtic sea salt would. Kosher salt is a widely available salt with larger flakes that can be used as a finishing salt or as a cooking salt, much like Celtic sea salt.